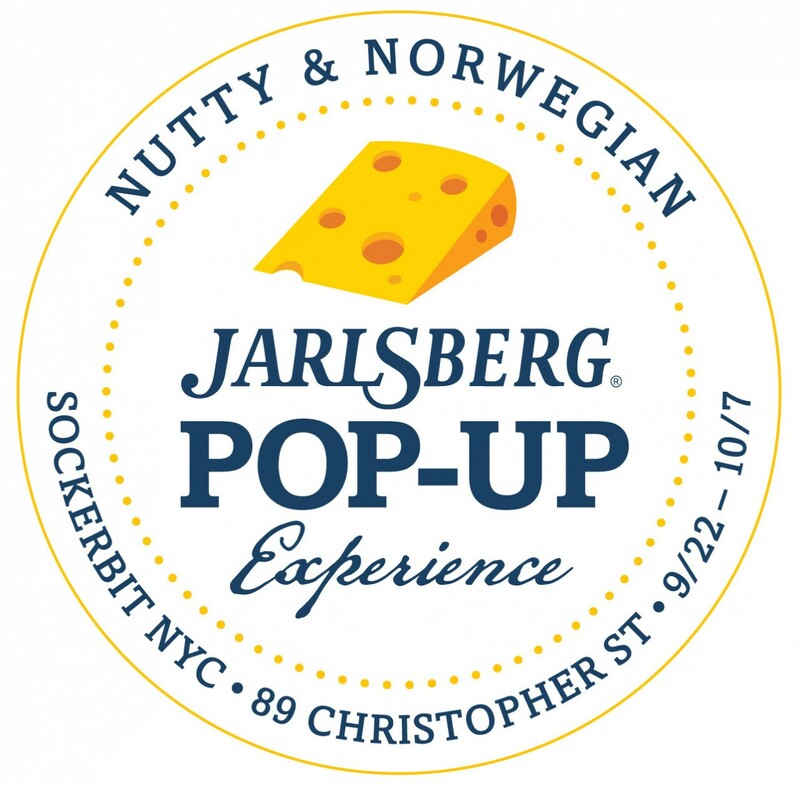 Jarlsberg Cheese is debuting its first-ever Jarlsberg pop-up store at Swedish candy store, Sockerbit, located in the West Village, New York, bringing another Nordic specialty to the city. Jarlsberg’s roots go back to 1956, when the original recipe was developed in Norway, producing a nutty, mild cheese. As one of Norway’s most recognized global brands, Jarlsberg connected with Sockerbit’s Scandinavian style, for a ‘Sweet & Swedish’ meets ‘Nutty & Norwegian’ to connect their respective roots. With high-end cheese wares provided by Boska Holland, this Nordic trio has come together to create a memorable retail experience. The pop-up is open from September 22 through October 7 (89 W. Christopher St.) and guests are invited to enjoy samples and pairing advice at the Tasting Table, for inspiration on creating the best cheeseboard ever. The Tasting Table features Jarlsberg cheese plate inspiration by Marissa Mullen (aka That Cheese Plate), Brooklyn based food blogger and stylist, who will be on site September 29. Also, celebrity Chef George Duran will visit and share his favorite Jarlsberg pairings and provide personalized tips. Guests are urged to post to social media using #JarlsbergNYC and get a ‘Sweet & Swedish’ treat. Jarlsberg turned to New York City-based Lionesque Group to bring this experience to life. Next Reddit goes off on shady Yelp practices!